How Many People Dream About How To Get To Their Perfect Holiday? **Hey Everybody! Today we have a sponsored post (written by the sponsor). It's about chartering a private jet. How fabulous is that!?! I thought my readers would really love to hear about this.They bring up some really good points! The cost is not as pricey as what I thought! Let's Fly Away! Many people dream about their perfect holiday and always talk about how and when they are going to take it. They usually have a vague idea of where they are going and what they are going to do but do not always have concrete plans. So, as recommended by many web sites and particularly by travel agents, they sit down and carefully plan out every detail of their perfect holiday. They first decide potential destinations based on activities they like or sites they want to see and the time of year they wish to travel. Perhaps, there is a famous restaurant in which they wish to dine or a unique experience they could potentially enjoy. Then they come up with a budget for the trip that would include such items as their accommodations, entry fees to the attractions they want to see, travel costs during their vacation, souvenirs, gifts, travel insurance and extra money set aside for any unexpected circumstances. Next, they do some research either online or by looking through travel books and tour catalogues to determine how best they can arrange their desires around the budget they have planned. The desire to go on a luxury African safari, for example, may be beyond one’s limits but a trip through the Amazon may be more in line with one’s price range. Research would also need to be done with regard to dates as travelling to certain parts of the world may offer better prices at different times of the year. Finally, there might be some discussion regarding all the options and eventually the best one will become obvious as the perfect fit. However, the one item that is missing from this perfect holiday is the method people will use to get to their dream vacation. They often do a great deal of research about air travel and the various ways they could save money and get discounts on their travel and find bargain airfares, but they often fail to realize that their travel method could be part of their perfect holiday as well. They can make this part of their vacation as much a dream experience as the holiday itself. One way to do this is to charter a private jet so that the air travel experience can be as enjoyable as the trip itself. Those on a tight budget may think that this can set them back a great deal, but if they work with the charter airline company, they might be able to work out a trip where other families and groups are going to the same place as the overall cost of the flight can be spread across several families. It is a great way to bring the family together and to make things a little bit more personalised. It is especially cost-effective for those families that like their privacy as well. Now the perfect holiday can include a dream travel experience. People are often reluctant to book first-class seats on a commercial airline but once informed of the advantages of private aviation, they may be more inclined to consider it. 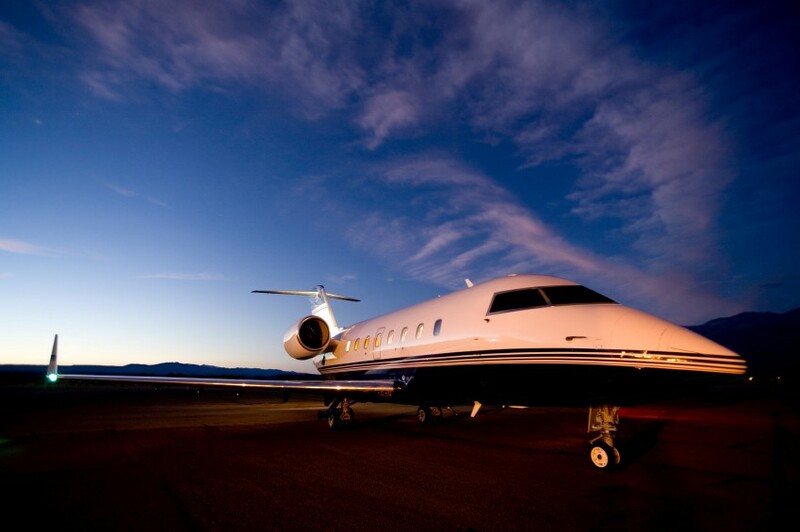 They may think that it is something to which business executives aspire, but for the same reasons that private aviation is used for business travel so those flying to reach their vacation destination can take advantage of it as well. The ability to set one’s own schedule, avoid the hassles of baggage check-in and security checks and the time that is saved while flying in more luxurious accommodations can make private jet travel part of the dream of the perfect holiday. To read more, check out Ben the charter writer. What an intriguing idea - the writer does make a very good point about potentially being able to decrease the cost of chartering by getting a group together that is heading to the same destination. And the idea of avoiding airport security is extremely, extremely tempting! Sounds interesting...I would just like it to drop me off somewhere warm, hahah!! oh! I just wish to travel the world with my own jet. this post is so inspiring. That would be a great way to travel with your pets, wouldn't it? This was so cool to read! Ugh, I have only been on a plane once. But a private jet? Awesome! I do agree that travelling to the destination is all part of the holiday and I actually enjoy the whole airport experience. That's a very smart looking plane! i would have never thought this was an option...but i like the idea a lot! how cool would this be?!?! I think the method of travel is definitely an important consideration when making plans. I only wish I had the means to charter a private jet but sadly I'll probably be flying commercial on my next vacation. If I could charter to travel, that'd be awesome - thanks for sharing. That would be a dream come true...maybe someday! That’s true, most of them dream about their holiday plans. But I don’t dream about a jet travel. I always prefer a safe and comfy journey. Where do I sign up for this...sounds so luxurious! I've NEVER thought of doing this. I think I would wanna charter a private car instead - I wanna be driven across the country actually! I've always wanted to go on a private jet! Sounds like a fun way to travel.. I should totally try this in the future! Thanks for sharing, Kim! Also, HAPPY BIRTHDAY! :) Hope you have an amazing day!! Wow this was a well written article and I must admit I myself did not think that I could ever fly on a private jet but I loved how Ben pointed out that traveling with different families could totally make this happen!! I loved that idea. I dream of the days that I don't have to go through baggage claim. This is something I am going to share with family and friends. I wish I would have known this just two days before when I booked my trip to Miami I would have loved to flown to Miami Kardashian style LOL! Thank you for this post!! I throughly enjoyed it. Oh how I'd love to charter a private jet. If only I had the money. does sound like an amazing experience. i'd totally be up for a private charter...where should we go, lol?! Awwwww, private jet, pure bliss.